Somewhere not so deep inside this adult, is a 7 year-old girl who still wants to know how many licks it takes to get to the center. Who loves the idea of edible jewelry. Who thinks candy bar posters are the ultimate expression of love. And, who believes that sour candy in bulk is pure joy. 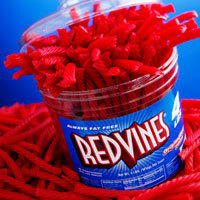 From Red Vines to Cherry Sours and Jelly Belly's to Salt Water Taffy, I love it all! Excuse me for just a moment while I deviate from the green diet and go indulge my sweet tooth. For more celebrations of love week, go here. I have a sweet tooth too! I tried not to eat sweets when I was pregnant but I did drink juice - which is why I had a almost 10 pound baby. It's my goal this year - drop the sweets. By the way- I loved the pictures. YUM! I love sour candy, too. I have never had sour Gummi Bears. I have a new goal for the coming week. I must find some.